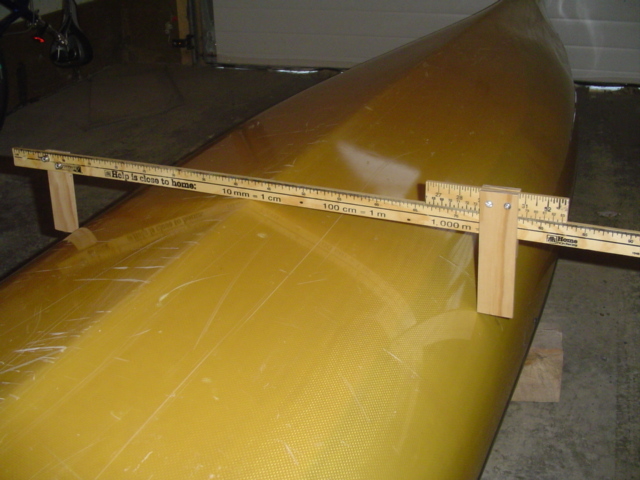 There are a number of measurements that are going to be taken of boats. Some are easy, line overall length, and gunnel heights, so I won’t describe them. Some are a bit harder. 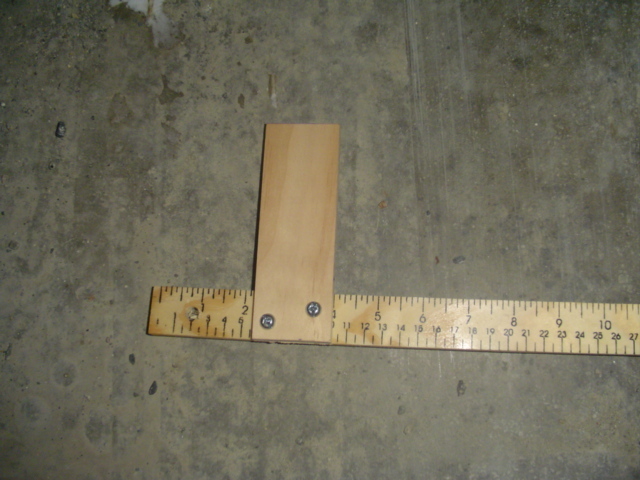 The “hard” ones are the 4” waterline width and length, or the 6” waterline width for voyageurs. 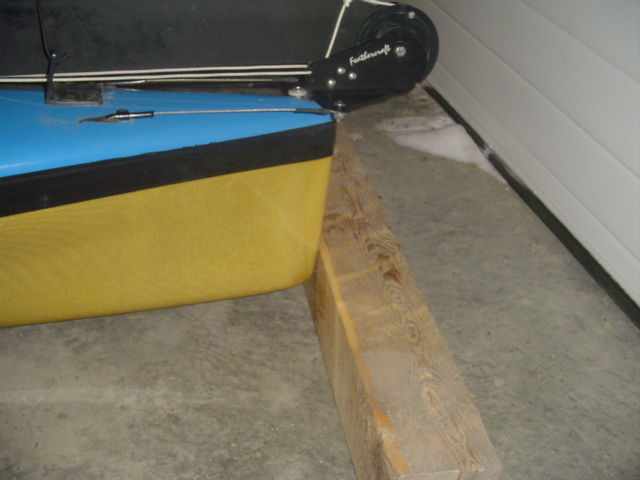 The boat is places on a flat surface, and a couple of prepared 4x4s are arranged bow and stern. 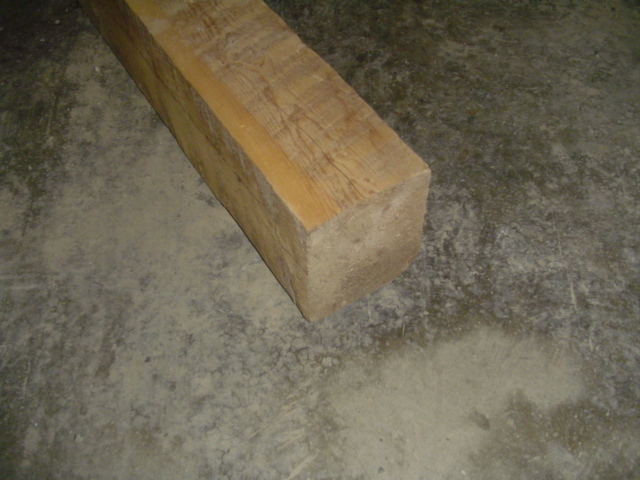 I use a couple of r3’ lengths of rough 4×4 that have been sanded so they are square, and then have one edge planed to form the top inside edge that is exactly 4” off the ground. If the boat has a V hull, you will need someone to help hold the boat straight. 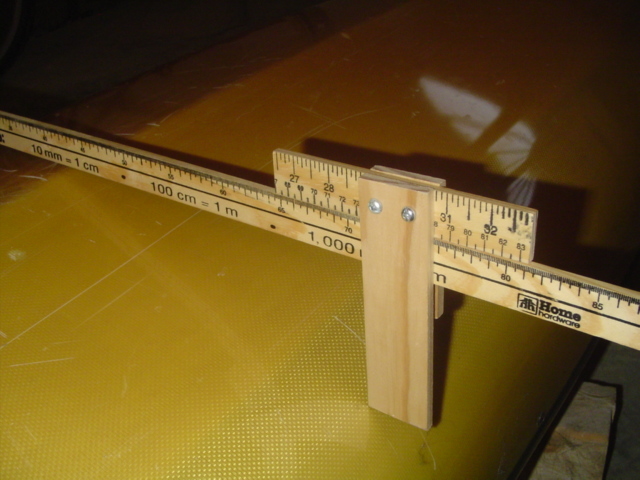 If the rudder is in the way, then measure including the rudder, and use a tape measure to estimate how much to subtract afterwards. If the boat has a long Greenland style prow, it is a bit of a judgement call exactly where the front is. You must not lift the boat off the ground as you tuck the 4×4 in. Be fairly generous with the length to be safe. 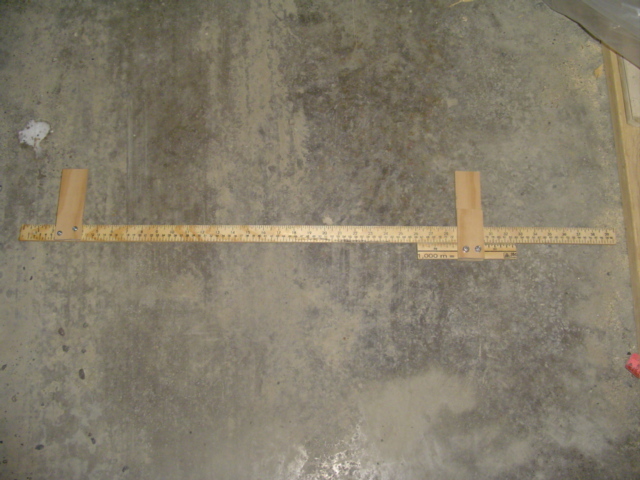 Lift the boat out from the 4x4s, and measure the distance between them. I take 2 measurements, one on the left and one on the right and average them: that compensates for any small angle the 4x4s might have been at. Note this number. This will be measured with a calliper. 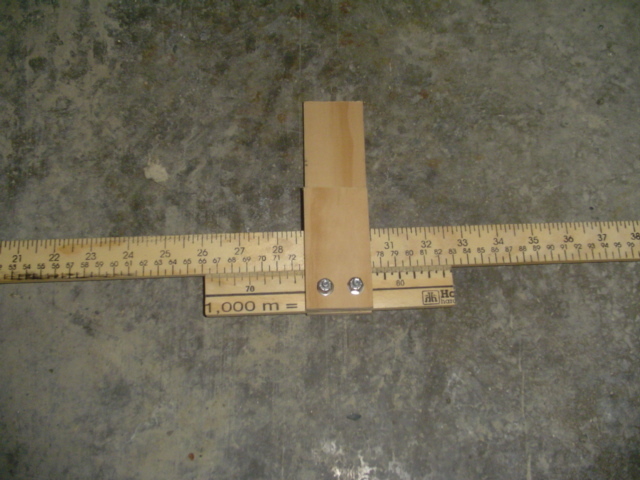 A similar calliper can be made quite cheaply from a metre rule and a few pieces of thin timber. The boat being measured is placed upside down. If it is a tandem, two 4x4s are arranged across the two cockpits, if it is s solo, then just the one 4×4 is used. 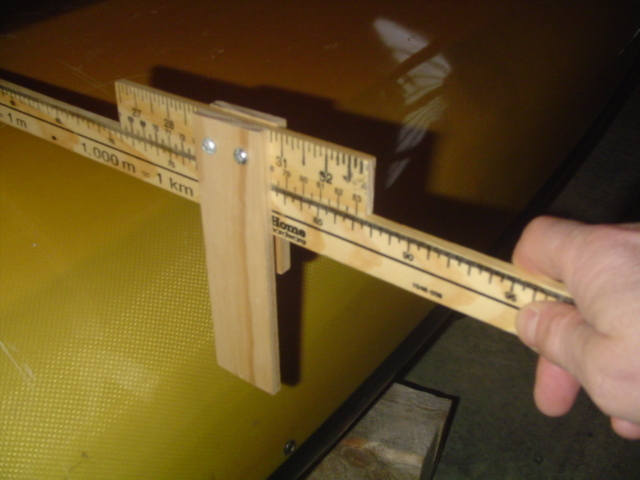 This is to ensure that the boat is properly aligned up side down. Then open the calliper to the minimum width allowed, and place it square over the inverted hull. 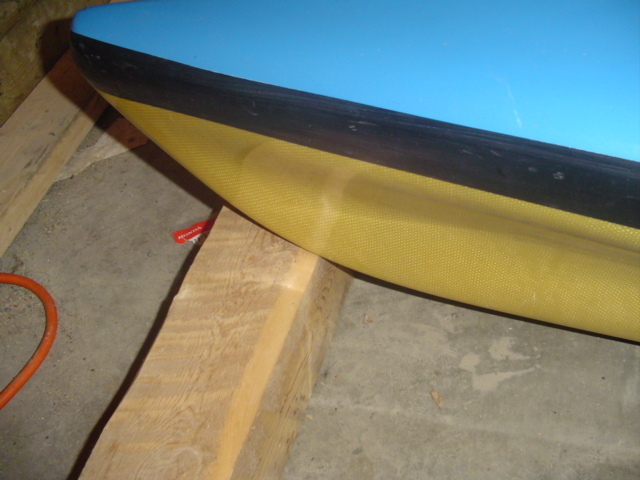 Slide it fore and aft until you find the widest part of the hull. If the jaws fail both to touch the hull at some point, the boat is too narrow. Email info@yukonriverquest.com if you have any questions.